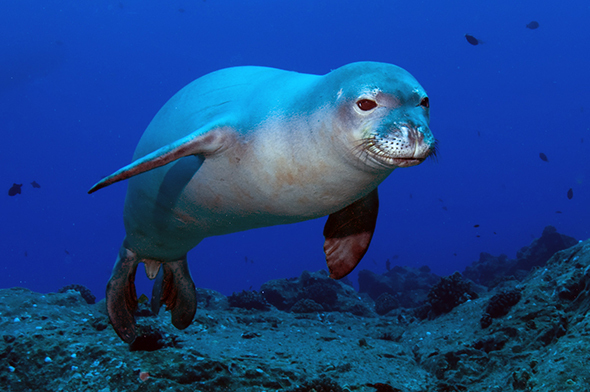 Hawaiian Monk Seals: The Latest Excuse for Toxo Hysteria? Hawaiian monk seal at Five Fathom Pinnacle, Hawaii. Courtesy of Wikimedia Commons and N3kt0n.